We've been getting lots of rain here in the Philadelphia suburbs. I'm not complaining, because I know there are other parts of the country that would take this rain in a heartbeat. However, since our summer is off to such a wet start, we've needed to come up with a few more indoor activities than usual. Luckily, my friends at Joann Fabrics sent me a gift card to buy some crafts and kids' camp supplies to help keep my kiddos happy. 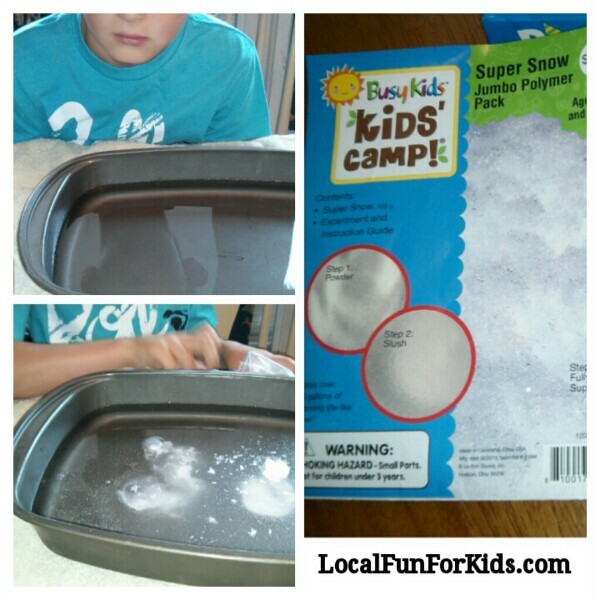 The first activity we tried out was SUPER SNOW! Before seeing Super Snow at the Joann Fabric store, I had never heard of it before. It's described as "Jumbo Polymer" on the package which sounds really scientific. 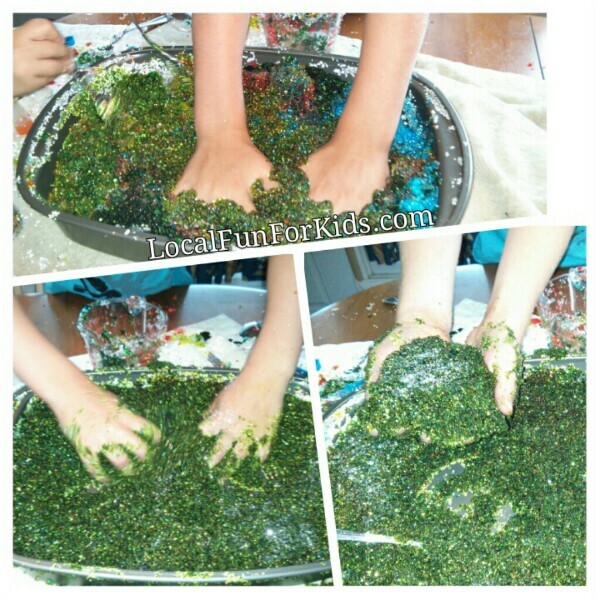 I don't know much about polymers, but I do know that my kids absolutely loved this stuff! First, my-seven-year old measured 64 ounces of water and poured it into a large roasting pan. Then, he measured 2 tablespoons of super snow, poured it into the pan and stirred it with a spoon. The super snow grew almost instantly. While we were making the snow, the phone rang. I quickly answered the phone, and the next time I turned around the snow was completely ready. It seemed like it happened in the blink of an eye. It felt really cool and was a fun texture to play with. My kids experimented with food coloring. They turned the 'snow' a bunch of different colors until it got all mixed up into dark green slop. Ick! 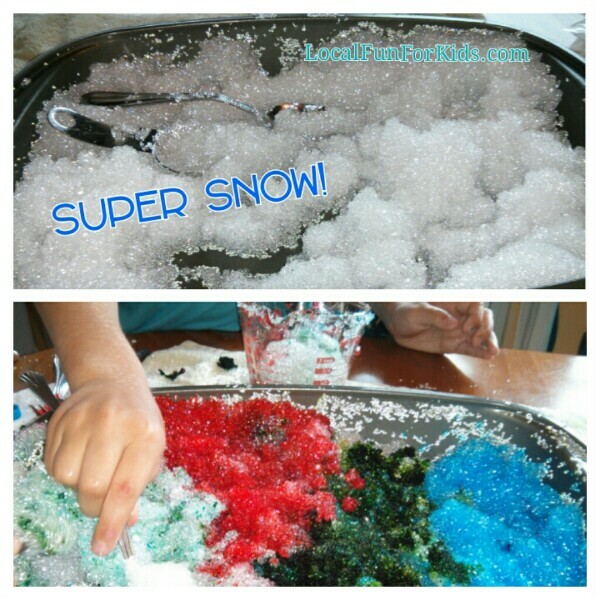 There was enough super snow mix that we can make a new batch on another rainy day, and I would definitely recommend it as a quick summer boredom buster. Thanks, Joann! Find more summer crafts on the Joann Website and get a 20% coupon when you join their preferred customer list.